Two going on twenty. : I bet you didn't know! 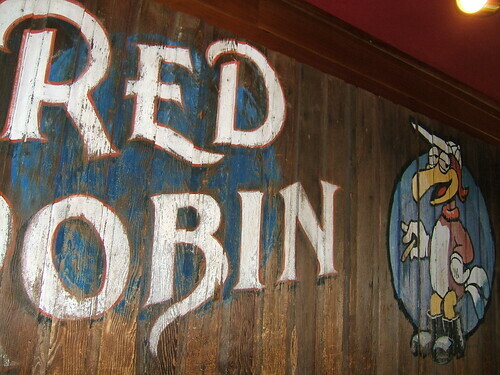 The very first Red Robin was a biker bar in Seattle with a horrible reputation for drugs and violence. 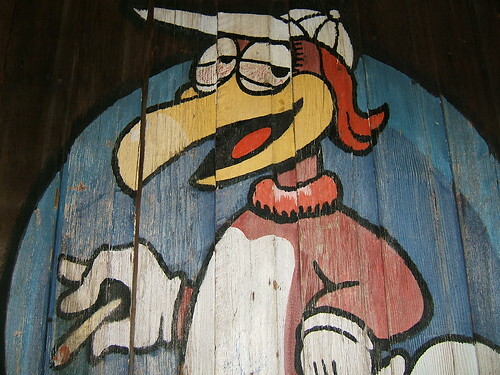 This is the original sign that now hangs near the door of that first Red Robin. Notice anything different about our red feathered friend? He's smoking and looks HIGH!!! Looks like old RR has been to Rehab since then! That's a bad case of pink-eye!